Have you been thinking about making camping and traveling a full-time deal but unsure of what camper to go for that is going to best suit all of your needs? If this is the case, then you need to make a stop at your local Airstream Campers dealership in Franklin, WI. Ewald Airstream of Wisconsin has a vast and impressive inventory of new Airstream trailers for sale as well as used Airstream trailers for sale, all the way from the small and compact Airstream Basecamp for sale, to the Airstream International for sale. Ewald Airstream in Franklin, WI is sure to have the Airstream that is going to be perfect for you that you have been looking for thanks to the amount of diverse and differentiating inventory at our Airstream dealership, making sure to give you as many options to choose from as possible to explore all that there is to be had. One Ewald Airstream trailer that is grabbing everyone's attention is the new Airstream Flying Cloud camper for sale right here in Wisconsin, more specifically, the Airstream Flying Cloud 20! With an exterior length of over 20-feet, an exterior width of 8-feet, and an interior width of 7-feet 7-inches, you will never have to worry about feeling cramped and claustrophobic inside of this trailer. Also featured inside of the Airstream Flying Cloud is a full kitchen and bathroom along with a 23-gallon fresh-water tank, 21-gallon gray water tank, and 18-gallon black water tank, ensuring that you never run out of water on any of your many adventures you will be able to take inside of this Airstream camper. 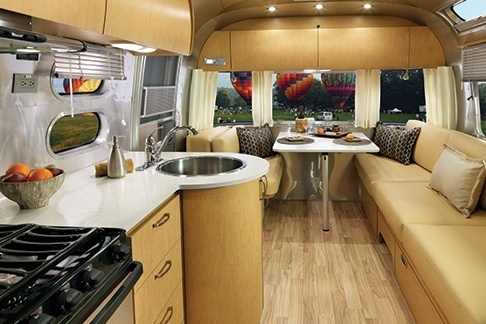 The Flying Cloud maintains small enough to be towed easily while also supplying enough space for a full family to sleep in comfort, so comfortable in fact you may even forget that you are in an Airstream camper and not a five-star hotel. With many intelligent designs and stowaways to reduce clutter, you will never feel jumbled inside of your Airstream trailer. The Airstream Flying Cloud also comes with an advanced anti-sway and towing technology to make towing your new Airstream as easy and stress-free as possible. Come to Ewald’s Airstream of Wisconsin today and see all of the new Airstream Flying Cloud for sale and take a guided tour through one with one of our friendly and knowledgeable team members. 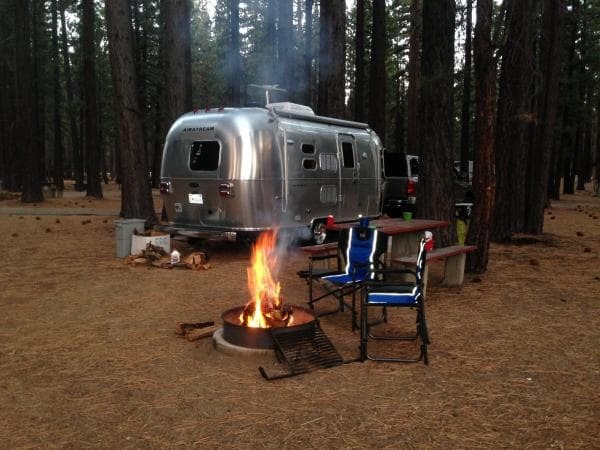 While you are here, be sure to take a look at all of our other new Airstream Campers for sale as well as our used Airstream Trailers in Franklin, Wisconsin. Ewald’s Airstream of Wisconsin is located at 6319 S 108th St in Franklin Wisconsin 53132.